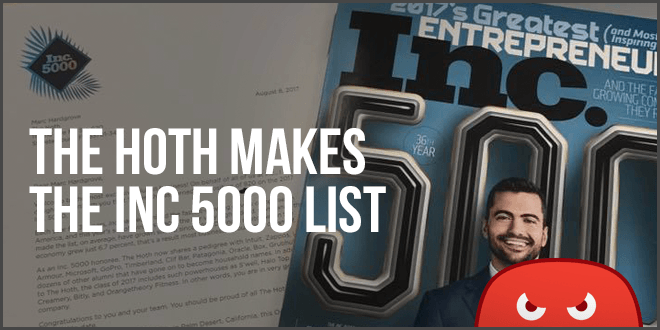 Out of over 6 million businesses in the US, we’re proud to announce that The HOTH made the 2017 INC 5000 list of the fastest growing companies in the US. 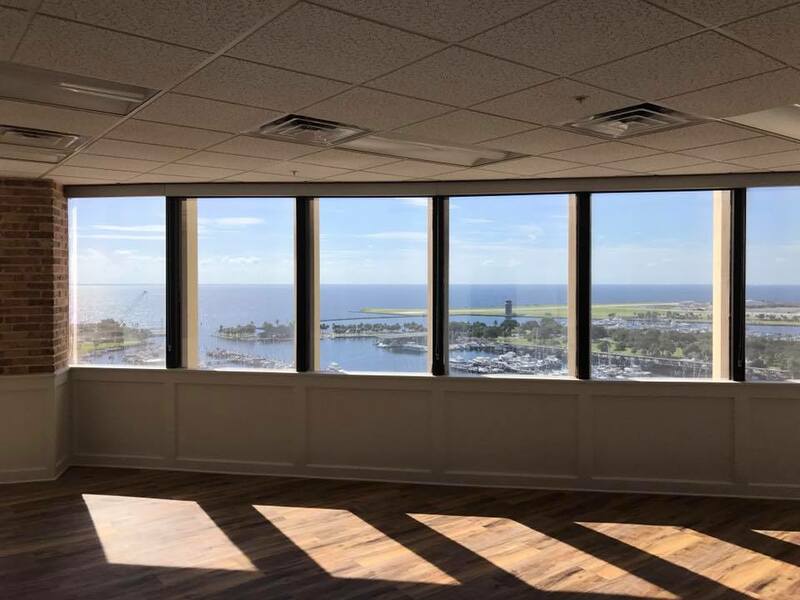 We also came in #10 in top Tampa companies. Making the list is a dream I’ve had for years, and it almost doesn’t seem real now that it’s here. 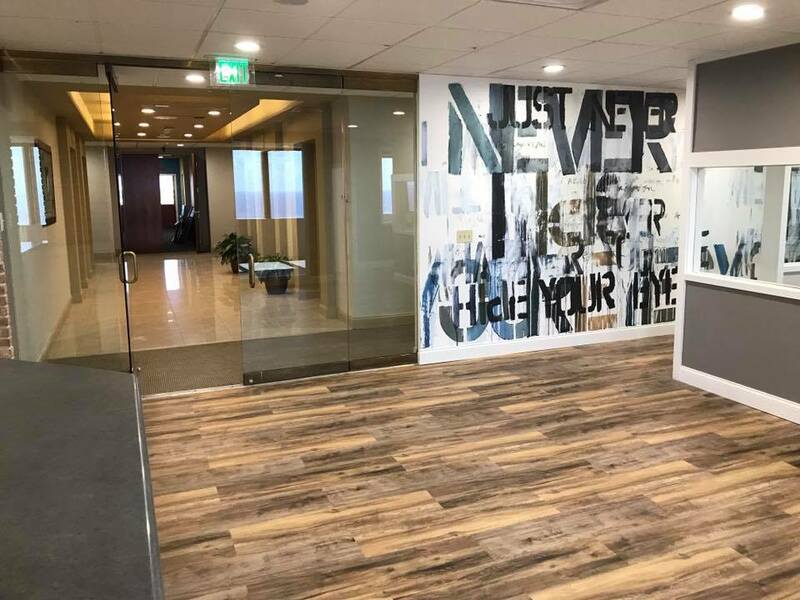 What started as a fledgling startup with a few guys in an apartment has turned into a bustling office full talented people HOTHing thousands of customers every day. Over the last few years, we’ve had the great fortune of bringing on some of the best minds in the industry to help us bring new ideas to life. HOTH Blogger, led by Rachel Hernandez, has grown to over 200+ writers and a full staff of editors. HOTH X, our newest managed SEO service led by Mackenzie Logan, has become our fastest growing product of all time – with the best results we’ve ever seen to boot. But then there’s also a lot that you don’t see behind the scenes. 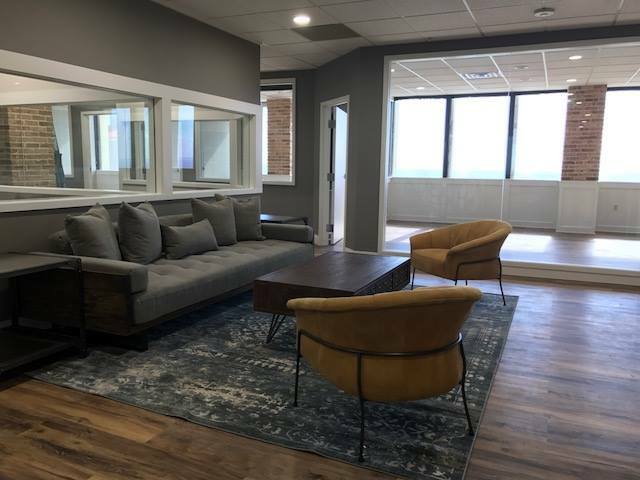 Our Operations Manager George Papadeas has kept the rocket ship running smooth as a baby’s bottom through the hiring of over 30+ in-office staff and a mountain of operational structuring to support our growth. Our Dev AND Support teams have expanded under the leadership of Jessie Poen. We have seen more major upgrades to our core system and products in the last 6 months than ever before. We have over 1000+ glowing reviews thanks to the hard work of our customer care team. Our account management team, led by Joe Knipp, has grown to handle 100,000+ SEOs that come to The HOTH every month. Our leadership, led by The HOTH partners Marc Hardgrove & David Martin, have provided the direction and resources that pushed us and allowed us to grow more than we thought possible. All in all, there are literally over 1000 people that work on projects here at The HOTH, and we are so grateful for each and every one. In fact, we had to get a whole new office to support the team. If you’re in the St. Petersburg FL area, please drop by!! We’re proud of what we have accomplished, but by no means are we stopping here. There is a long road ahead of us to reach our vision. 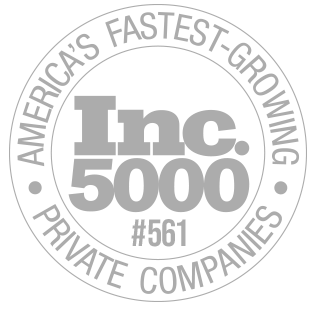 We’re staying humble, heads down, and continuing the grind to be the best SEO company in the world. The pipeline is fuller than it’s ever been, and I can’t wait to share with you what we’ve been working on next. Excellent accomplishment Folks!! Congratulations! I’m looking forward to working with you folks a lot in the coming days. Well done guys! Keep up the hard work! Congratulations guys for this accomplishment. Way to go! You have a great service and that is a great accomplishment! Great work and congratulation to all at The Hoth. Well deserved. Great job HOTH and look forward to doing business with you all in the near future. Congratulations on achieving the milestone. You indeed deserved it. This is one to be proud about! Great stuff! Congratulations HOTH team. Stay fierce and achieve your vision! Congratulations, it is the result of a great work oriented in the satisfaction of the user using good practices. Well done, guys! I have always had great service from you in terms of guest posts and blogger articles, so from where I stand you deserve all the accolades you are getting. All the best for your company’s future growth and prosperity! Working with you guy’s and girl’s makes ME look good ! Congratulations, you have a very important website for me and 820 does really not do the value of your website justice. Thanks and I know you will be going even higher next year.